IPermissionProvider (Extension interface for the permissions list). IModuleAccessPermissionProvider (Provider interface, which defines access permissions to the modules). 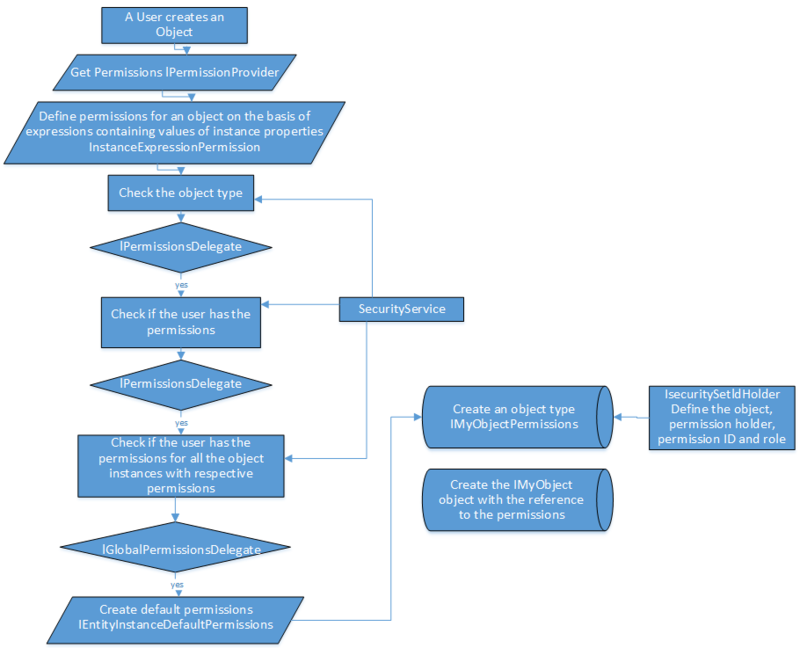 InstanceSettingsPermissionBase (Base class interface of the access permissions to the object instance (IInstanceSettingsPermission) based on the settings). IPermissionsDelegate (This interface is implemented for each object type, whose instances are related to the permissions). 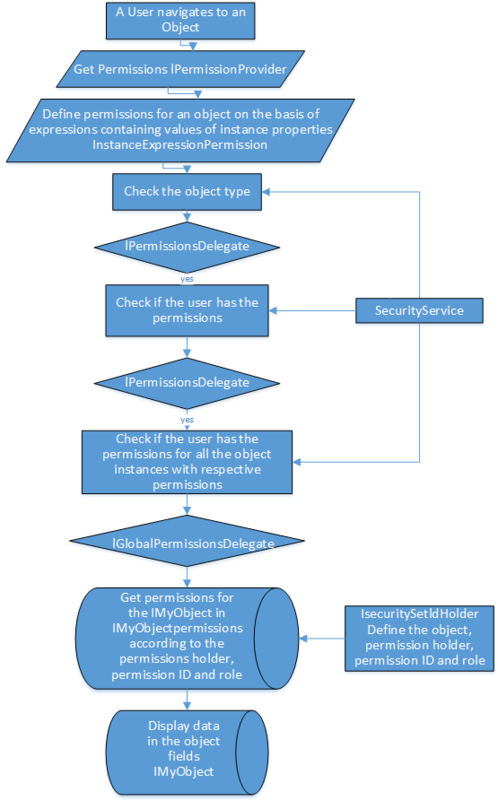 IEntityInstanceDefaultPermission (default permissions for the entity objects). IPermissionRoleTypeProvider (permissions for the object type, permission roles). Fig. 1. List of instances of the IMyObject object. If a user doesn’t have respective access permissions, they will not be able to see the instance. /// Get the dictionary with the values "Module Identifier -> Module access permission"
/// System role which can not be deleted. /// Get the type-permission-role correspondence. Avoid using GUIDS shown in the example; always generate your own GUIDS when possible. 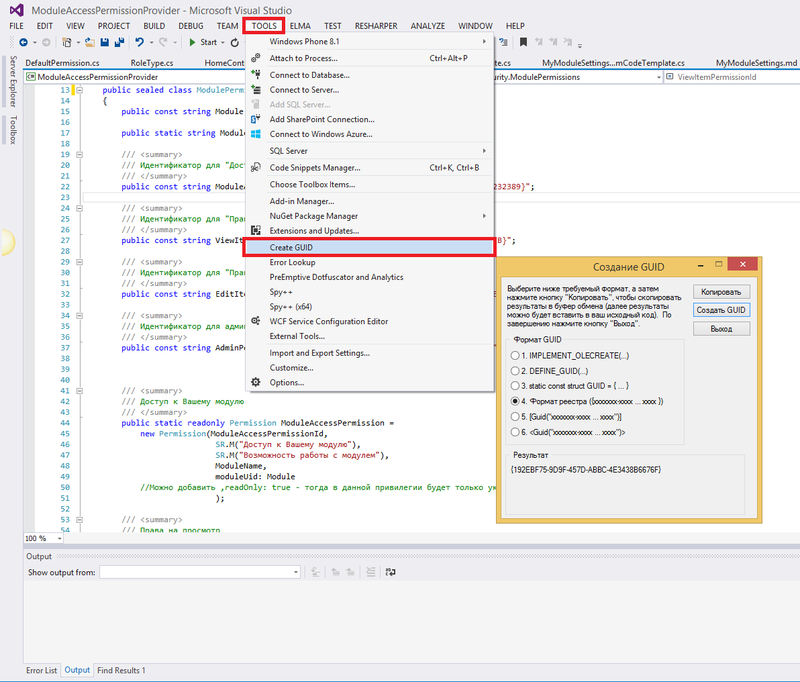 For this purpose, you can use VS2013 GUID generation utility (see fig. 5). To generate a new GUID you need to click "Create GUID", and then click "Copy." The GUID will be generated in the Result field and copied to the clipboard, then you can use in your code. The name of the permission. The description of the permission. Example: the CRM has the following permissions´ categories: Common module settings, Companies, Contacts, etc. - PermissionType.Global - Global permissions, for example, "Module Access" or "User Administration"
- PermissionType.Instance – Object Instance Permissions, for example, "Edit Document ID = 124". An entity type related to the entityType (default null). An object, which has this permission. Example: InterfaceActivator.TypeOf <IMyObject> (). 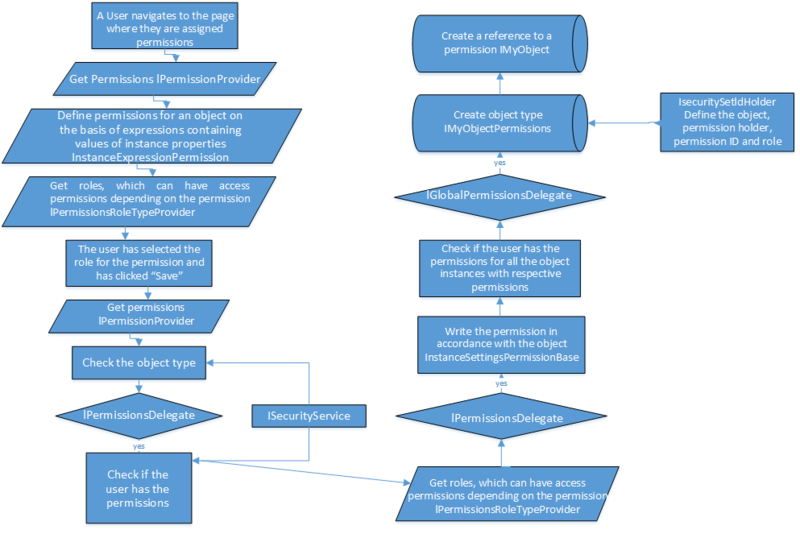 If you need to implement your own permissions for an object, the permission type will be PermissionType.Instance. 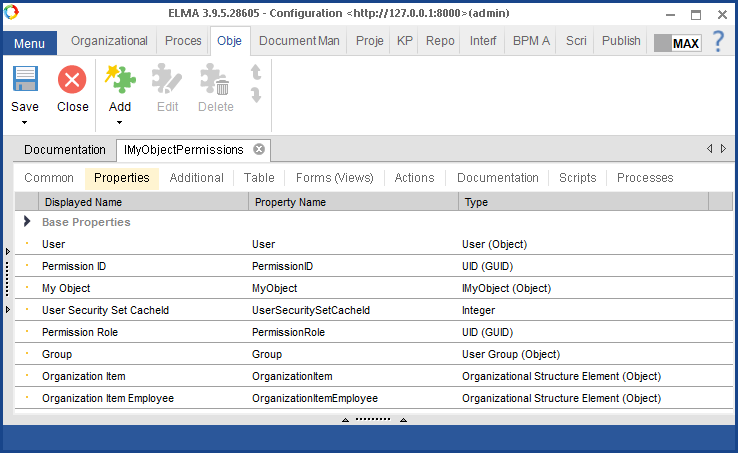 When you create an instance permission, the base View permission is searched for an object. If the View permission is not found an error message appears, telling that you must implement the base View permission. 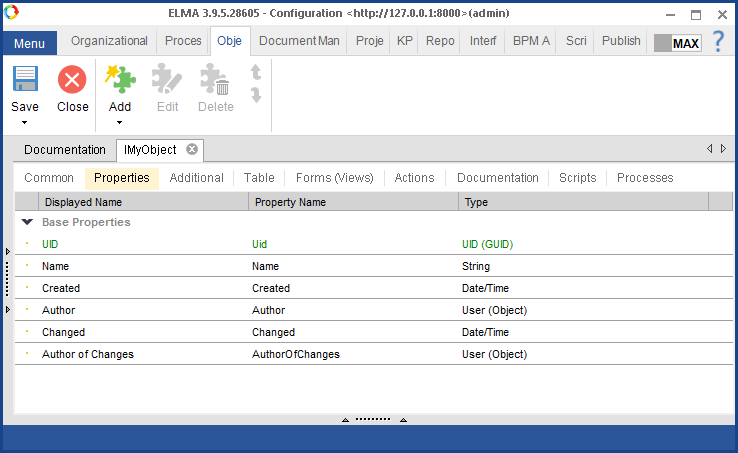 Note: When loading several objects, a table with permissions will be applied to check the objects´ permissions. When loading one object, an additional condition will be applied to the selection. This should be considered when implementing permissions with a base permissions because it affects the overall performance. The read-only permission readOnly (default false). Means that the list of permissions owners cannot be edited. /// ID for "Access to Your Unit"
//You can add ,readOnly: true – then the permission will contain the specified group. These permissions will be used in the module and in the further implementation of the extension points. As you may have noticed, ViewItemPermission, EditItemPermission and AdminPermission use the base access permissions to the object, while ModuleAccessPermission is the access permission to the module. The permission “ModulePermissions.ModuleAccessPermission” will be displayed in the "Global access settings" section (see fig. 4). This example shows the implementation of the access to the module (depending on access permissions the corresponding menu item is shown or hidden). Learn how to create a menu item in this article. Add a permission attribute to the controller or controller method. Check permissions in separate methods. On the "Advanced" tab you must specify that the object implements the interface EleWise.ELMA.Security.Services.ISecuritySetIdHolder. You must also check the box "Additional code." This must be done to implement the ISecuritySetIdHolder interface. /// The permission holder (user, group, organizational structure element, etc.). /// The role of the permission holder, it may be an author, a process initiator or a group of users, and so forth. To access the instance of the specified type (IMyObject) it is necessary to implement the extension point. If you do not implement this extension point, a userб when opening the object, will receive the error message telling that it is necessary to delegate permissions. When you create an object, the default object permissions will be added to it. The object author will be granted the permissions to view and edit. As you may have noticed in the example, we use the existing system roles; we also create a new role (see figure 3). We have defined particular roles that can be selected for each permission (view, edit, administrator permissions). For example, for the View permission, you can select all five roles: all users, groups, organizational structure element, author, and user, whereas for the "Object Administrator" permission you can select only the author role. 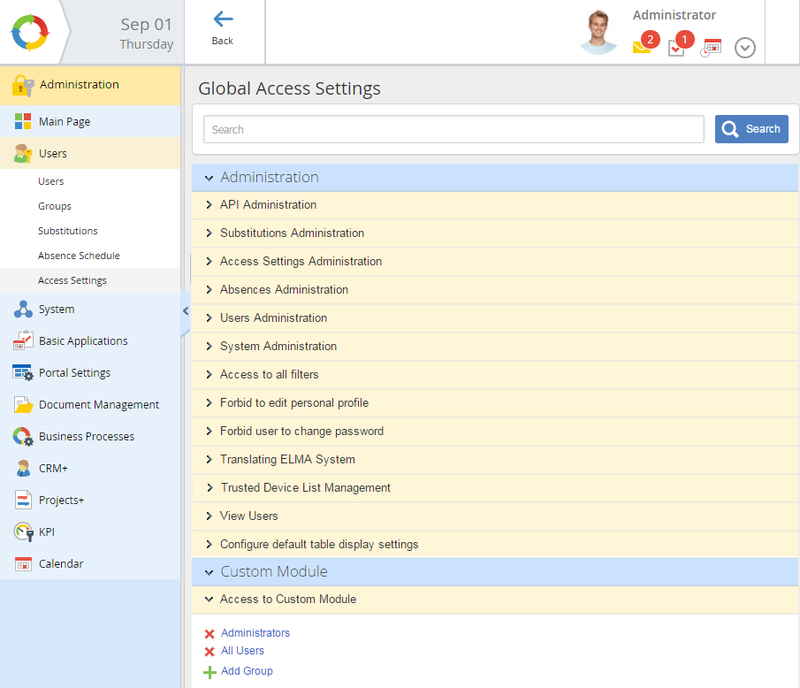 To be able to assign access permissions you need to implement this capability in the web application of your module. In this example, it is implemented by the action in the controller. We have implemented the object page, whose toolbar has two buttons "Back" and "Settings."